Not a fan of traditional buttercream? 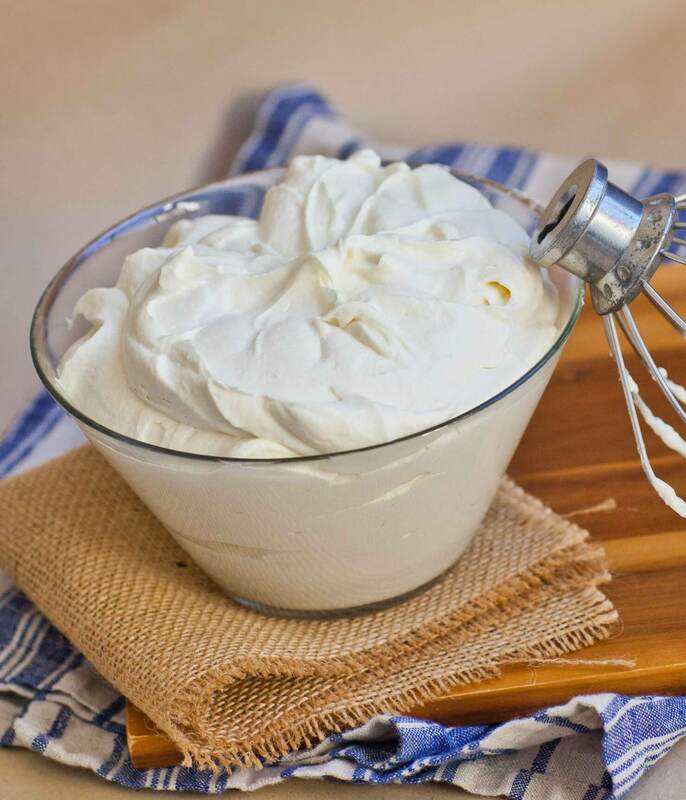 This whipped cream frosting recipe is for you! 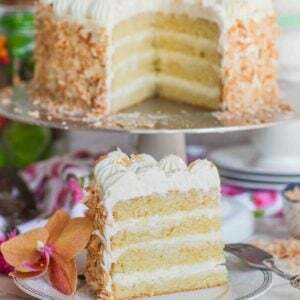 It’s made with butter, cream cheese and sweetened condensed milk! 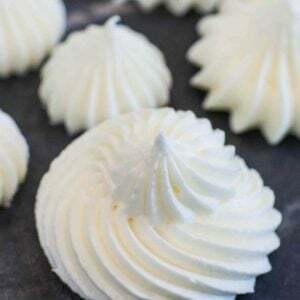 This incredible frosting recipe is perfect for cakes, cheesecakes and even as a filling for pastries. 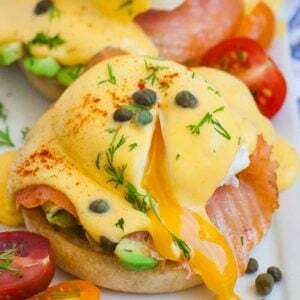 It’s easy to make and so delicious! Make sure to watch my video for the step-by-step instructions! Love my videos? 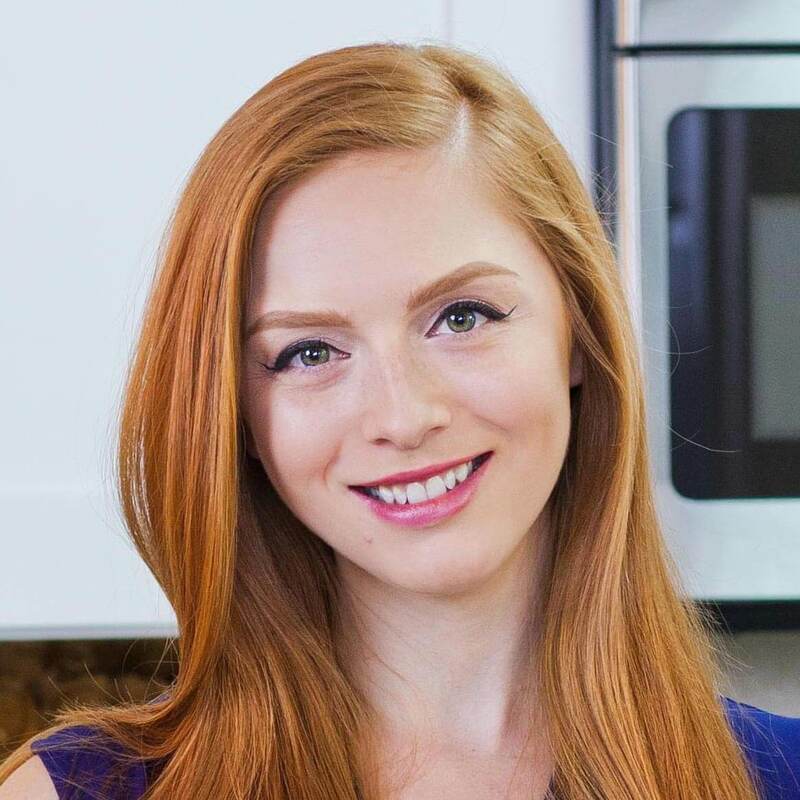 Make sure to subscribe to my YouTube channel and you’ll receive new recipe notifications! I LOVE to use this whipped cream frosting recipe for many of my cakes and for a good reason. It’s not too sweet, it has great consistency and it adds moisture to any cake. This frosting doesn’t hold its shape as well as a buttercream would so it’s not ideal for piping decorations. It’s super easy to make but make sure to follow the instructions to get the best consistency! Be careful not to over-mix the cream, otherwise it will separate. Once you add everything to the whipped cream, mix for about 30 seconds to one minute, just until stiff peaks. For this recipe, I use cream cheese. If you’re not a fan of cream cheese, just use mascarpone as a replacement! 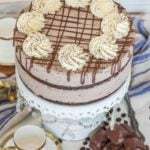 I come back to this recipe time and time again, using it for my ‘Chocolate Spartak’, ‘Pistachio Pomegranate Cake’, ‘Chocolate Raspberry Cake Roll’, ‘Tiramisu Crepe Cake’ and many others. 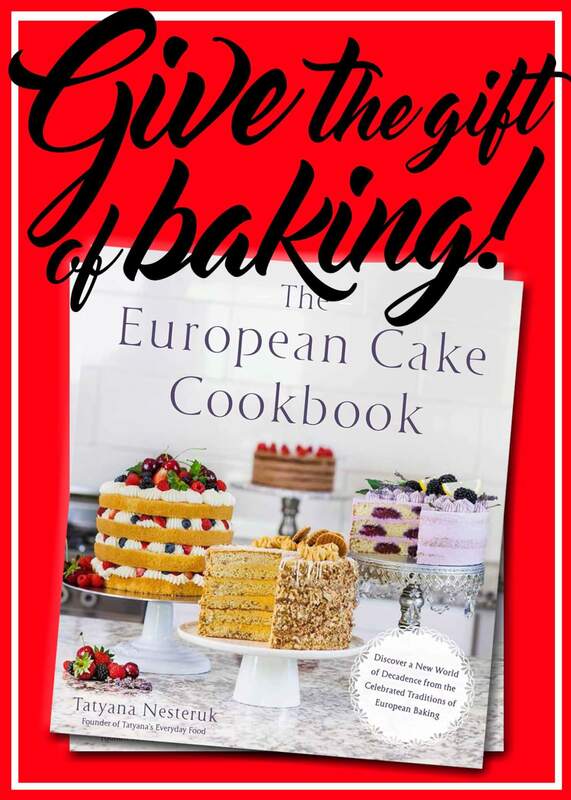 You’ll also see this recipe in my cake cookbook, The European Cake Cookbook. My classic KitchenAid stand mixer is a must for every baker’s kitchen. I love using this set of nesting glass mixing bowls for food prep. You can never have too many silicone spatulas. Use this set of jumbo cake decorating tips to garnish any cake. Softened butter and cream cheese at room temperature until soft to touch but not melted. I prefer to use whipped cream cheese but an 8 oz brick of regular cream cheese will also work. Place butter and cheese into mixing bowl and whisk on high speed for 3 to 4 minutes until light and fluffy. Add the vanilla extract, pinch of salt (about 1/8 tsp), and sweetened condensed milk. Whisk again for a few minutes until well combined, stopping to scrape down the sides of the mixing bowl. Last, pour in the heavy cream. Make sure heavy cream is ice cold; I like to place mine into the freezer for 15 minutes. 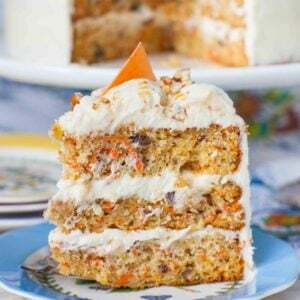 Whisk the heavy cream into the frosting JUST until light and fluffy. Do not over mix! Over mixing will cause the frosting to separate. I recommend mixing on medium speed to avoid separating the mixture. If not frosting cake right away, place frosting into the refrigerator for 30 minutes. This will thicken the frosting further, making it easier to work with. Do not keep at room temperature for too long. I love the sound of this recipe! 😊Is it ok to freeze the frosting? how long can i leave already frosted cake out at room temperature. 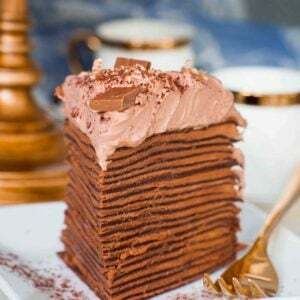 Can this recipe be enough to frost 2 layers of 8 or 9inch cake? Can you pipe flowers and foliage with this icing? And can the piped items be frozen for later use on a cake? 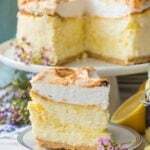 This recipe isn’t good for piping flowers. I recommend using my ‘Meringue Buttercream Frosting’ for piping 🙂 This frosting is great for frosting cakes though! 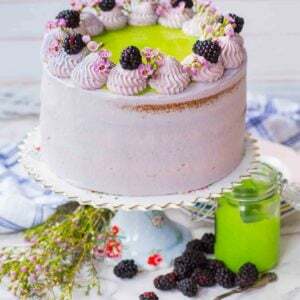 Can you add gel food coloring to the whipped cream frosting? hi! i am making my mom a homemade vanilla bean cake and wanted to use something different for the frosting other than buttercream. i found your recipe on youtube (great video by the way!) and i was wondering if i could use real vanilla bean in the frosting? and if i used real vanilla bean would i need to still add the vanilla extract? 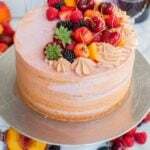 like i said, i’m making a vanilla bean cake with your whipped frosting, but i am trying to figure out what to put in the middle of the cake as a filling..do you think with your frosting that a chocolate ganache in the middle would be best or strawberries in the middle? thanks so much for any advice!!! i love your youtube videos. Can you put fondant over the top? I don’t recommend using this under fondant. You can use it as a filling inside the cake but not on the outside. Hi!!! I just discovered your page! It’s great!!! I was wondering if the amount of sweetened condensed milk can be reduced? Or will it affect the frosting consistency? I just tried this and it was super easy! I’m so excited to frost my first cake! Thank you!!! Hi! Does this firm up when refrigerated? I am making a 2 layer cake and the frosting in the middle is just piped round dollops. I need something that will not collapse under the weight of the top layer so my dollops remain in tact – there is no frosting on the sides so the dollops are a part of my decoration. I was going to pipe the frosting, let us chill to firm up and then put the top layer on…will that work with this frosting? Hi Angel! No, this frosting does not firm up in the refrigerator. It will set up not harden in any way. I recommend going with a more stable cream for any stacked cake, like a French buttercream. Can the frosting be stored in the refrigerator for later use? If so, how long will it last? Also, is the consistency stable enough for piping on cupcakes? for her cake and this one sounds delicious. I just wonder if it would be sturdy enough to support a 12 inch 3 layer bottom tier and 10 inch 3 layer top tier. Can it be done without the cream cheese?